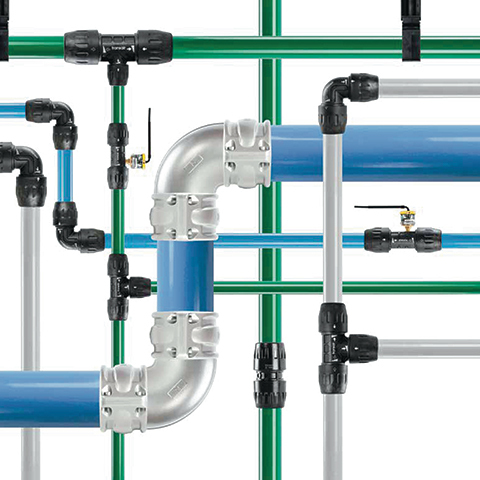 Transair®, the original modular pipework system utilising aluminium pipe and quick connectors, was launched in 1996. Since then, with more than 20 years experience, continual improvements have been made to meet the needs of compressed air, inert gas, vacuum networks and other industrial fluids. Specialising in air network projects, Transair® fits perfectly into the Parker Group’s development policy and demonstrates its capacity for innovation. Transair® is perfectly adapted to the constraints and needs of all industries and is recognised for its performance, from the compressor room to the point of use, in most industrial sectors.